Read a review by NeurOptimal Trainer Alex where he discuss the changes he experienced after completing a neurofeedback training program with the NeurOptimal system and how he noticed a significant decrease in his anxiety performance and enhancement in his musical capabilities. Musicians are the first to say that mind and body synchronization are essential to peak performance. I had the pleasure to sit down with Alex Lambert, drummer and neurofeedback trainer, to discuss how neurofeedback has influenced his skills and experience with music and increased his overall learning. Having played drums since childhood, Alex has played in indie rock bands, such as Multitudes in NYC and Blame Game in Atlanta, and taught music for many years. Since 2016, he has also been doing neurofeedback training and found it allowed him to enter and maintain flow states while playing as well as decreased his performance anxiety. Doing NeurOptimal® sessions is similar to learning how to read! Once you know how to read, you can’t not know. So yes, it lasts. Is Neurofeedback Safe? What about Side-Effects? 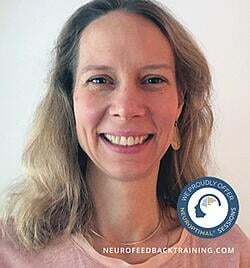 Want To Talk To A Neurofeedback Trainer? We're here to help. Schedule a15 min. phone consultation with a experienced neurofeedback trainer to help you answer any questions you may or discuss your training options.